In the past 10 years the computing industry has turned more and more to the cloud. Several recent trends in the technology sphere indicate that cloud computing is poised to undergo massive growth. The Internet of Things is just one example of physical objects being tied to the Cloud and gaining more tangible functionality as a result. The Cloud allows users to access applications, information and data online rather than through hardware or devices. It enables a more efficient and shared way of computing as it provides a service rather than a product. Users receive and share information in a way that allows them to access and give access not only to any group of people within their cloud but to the whole world. 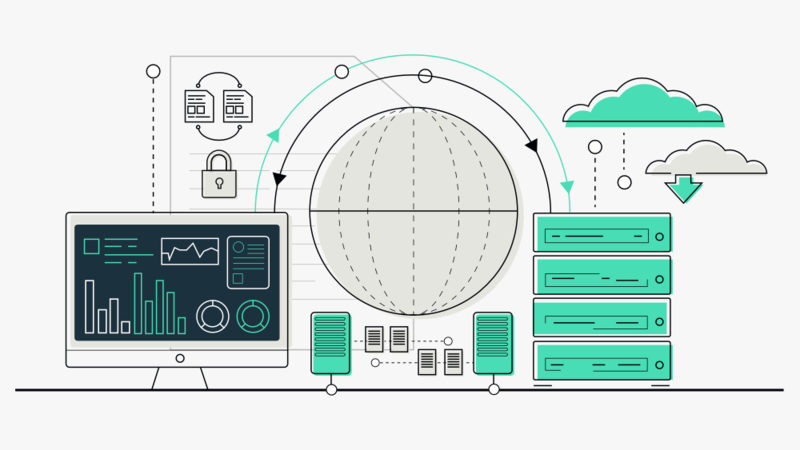 Consequently, cloud infrastructure must ensure that millions of applications work on a reliable basis. Due to the growing importance of cloud systems, companies increasingly file, sell and acquire as well as license and monetize cloud patents. These patents are now being increasingly aggressively enforced in patent litigation. In order to identify cloud-related patents, the IPlytics Platform database was used to perform an extensive keyword search of worldwide filed patents in the cloud computing field. The search was based on the patent’s content (title, abstracts, description and claims), making use of state-of-the-art stemming and semantic indexing methods. Figure 1 illustrates the number of patent applications over yearly counts between 2010-2018. Only in the past 5 years the patent filings have been more than doubled. Cloud computing technologies will shape the future of computing technologies and the data confirms that a growing number of companies are filing for patent protection. In order to identify patent ownership IPlytics aggregates patents as to the patent portfolio of each company, making use of entity disambiguation techniques. Furthermore, the patent applications are counted as to the corresponding patent family in order to count the number of unique patented inventions per company. 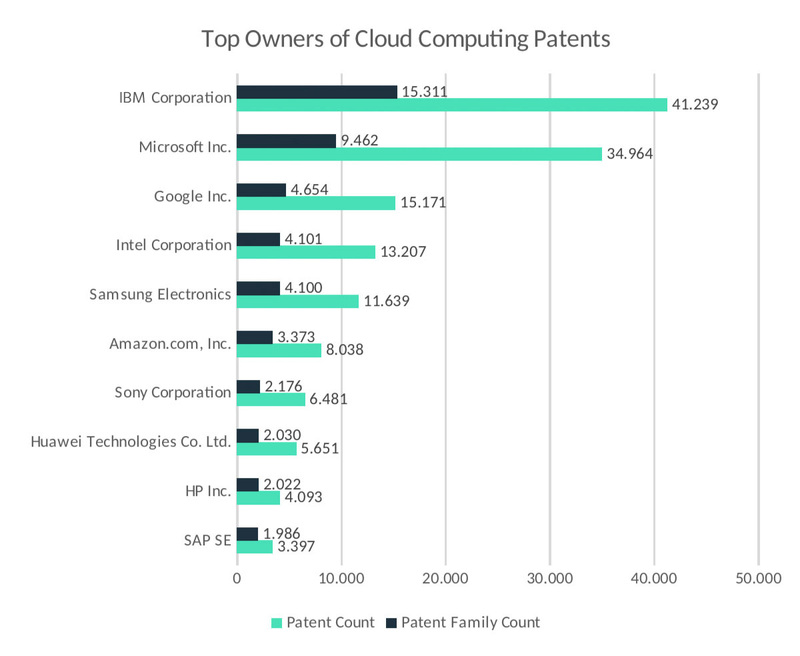 Figure 2 shows that IBM, Microsoft and Google are the 3 strongest cloud related patent owners, while Amazon the most prominent cloud provider is only the 6th biggest cloud patent owner. Out of the top 10 cloud patent owners we identify 6 US based companies, one Korean, one Japanese and one Chinese and one German company. The results confirm a very US centric cloud provider market. In order to identify at which patent office the patents have been filed we count cloud patents as to the office’s country. 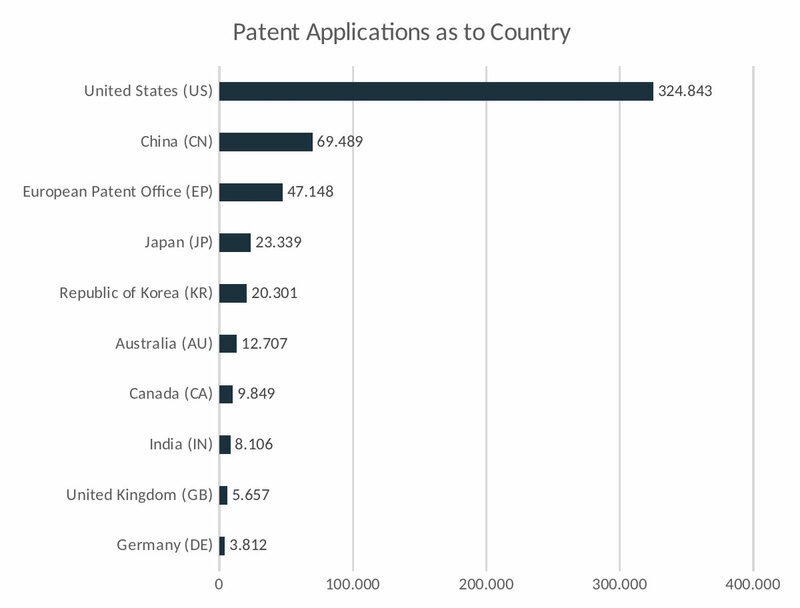 As illustrated in figure 3 most cloud patents have been filed in the US followed by China and the European area. In total more than 60% of the world-wide clouds patents are filed in the US again underlining a very US dominant patent filing activity. Due to the large number of cloud patent filings in the US, IPlytics Platform was used to create a deep dive analysis into cloud patents that have been litigated in US courts. Figure 4 shows that the litigation around cloud patents has been constantly increasing since the past 4 years. As broadly written cloud-related patent claims may cover an unforeseeable range of solutions that run on the cloud, companies which use cloud computing technologies face an unpredictable level of legal risk. 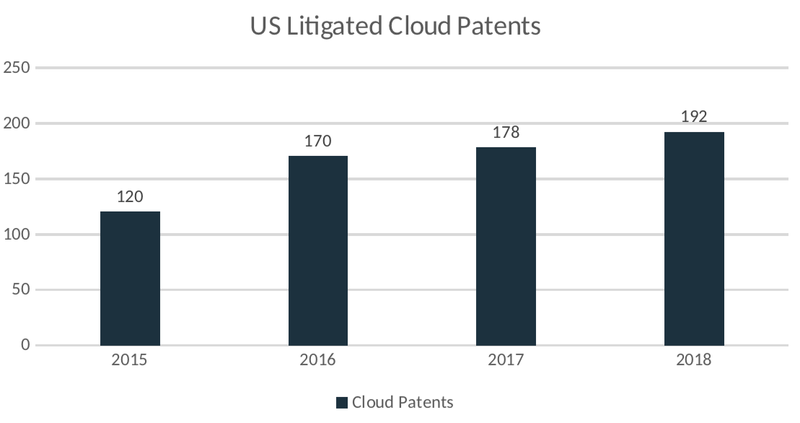 The increasing number of patent litigations confirms that cloud computing has developed to be a lucrative technology where patent owners increasingly enforce their right in court. 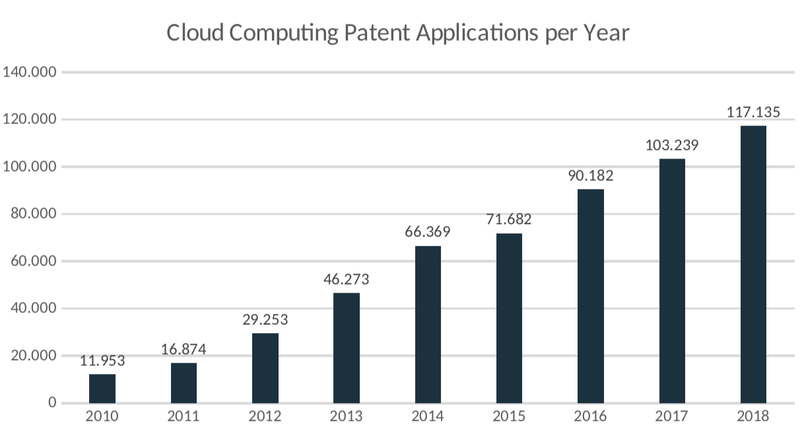 The cloud patent analysis confirms that cloud technologies which are considered to fundamentally rely on shared environments and follow public standards are subject to a growing number of patent filings and patent litigation activities. Millions of applications and services integrate cloud computing technologies that are highly patented. Our research suggests that these patented cloud technologies are increasingly subject to litigation.  The presented report is an extract of an ongoing study around patent activities in the space of cloud computing. The analysis conducted by IPlytics intends to shed light on the potential legal risks for cloud technology users.